Are you looking for a professional corporate catering service for your business event across Solihull, Birmingham or Sutton Coldfield? 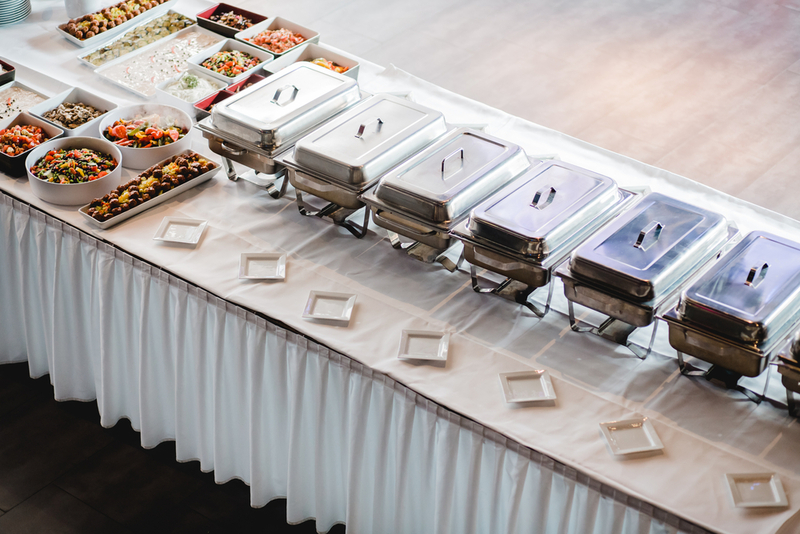 From Breakfast Meetings and all day seminars to training days to your very best client, let Brittons take care of all your events catering needs. If you need a special menu, Brittons Caterers shall be happy to tailor this for you, If you would like to see one of our representatives we can also arrange this. We have venues for you to hold your corporate catering, please call on 0121 359 0888 so we can assist you. We can also offer contract catering. We offer larger corporate catering events at The Pavilion. Ask about our Waitress service, we offer the latest canape menus, served on marble, mirror or diamond slates, we also offer a full range of drinks from champagne to a cocktail list, or alternatively buffets. Why not hold your office catering event at The Pavilion on Moor Lane Perry Barr, we are able to tailor your day to your own requirements. Brittons have worked closely with a marquee company for the past 15 years, They have been established since 1972, also offering a professional service. For creating that special occasion, each event is unique, with different settings, flowers, furnishings, colour schemes: in fact so many possibilities that you can be sure of hosting an event with a special atmosphere and which is uniquely yours.